It's almost 2018, but there's still time for one more Alaska political roundup this year. Here's a special holiday edition. "O 10-02, o 10-02, thy budget greatly needs you …"
So begins the Arctic National Wildlife Refuge-themed song, set to the tune of "O Christmas Tree," that was sung by a group of political Christmas carolers in downtown Anchorage this month. The group's host, former Lt. Gov. Mead Treadwell, said Lisa Murkowski brought the lyrics with her. 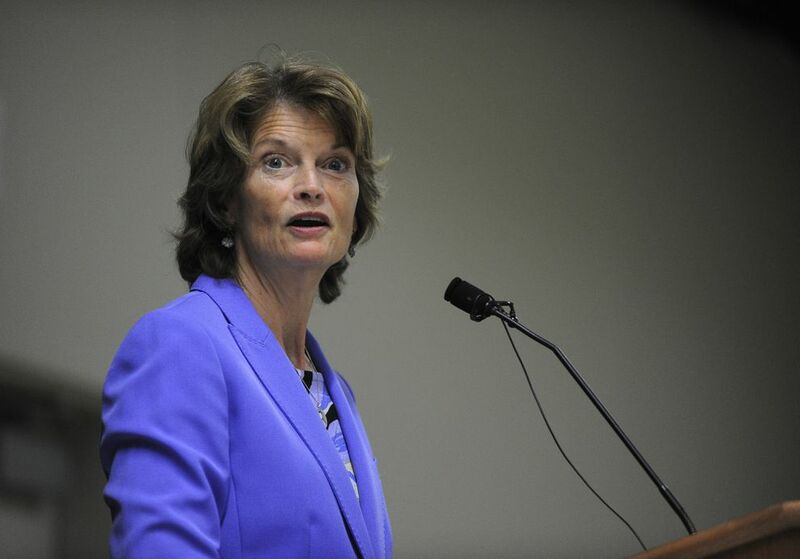 Murkowski is the U.S. senator who led the successful push to open the coastal plain of the refuge — known as the 1002 area — to drilling as part of the recent GOP tax bill. Murkowski couldn't be reached for comment Friday. But Treadwell said the lyrics were originally composed by Kristina Woolston, an executive at telecommunications company Quintillion — which Woolston confirmed in a text message. Among the carolers were Treadwell, Murkowski and her family, conservative talk show host Rick Rydell and a top U.S. Interior Department official, Steve Wackowski, who brought his son. The full ANWR carol goes like this: "O 10-02, o 10-02 / Thy budget greatly needs you / O 10-02, o 10-02 / Thy delegation bled for you / Your vast oil and gas reserves / Could warm another caribou herd / O 10-02, o 10-02 / Our state we greatly need you." 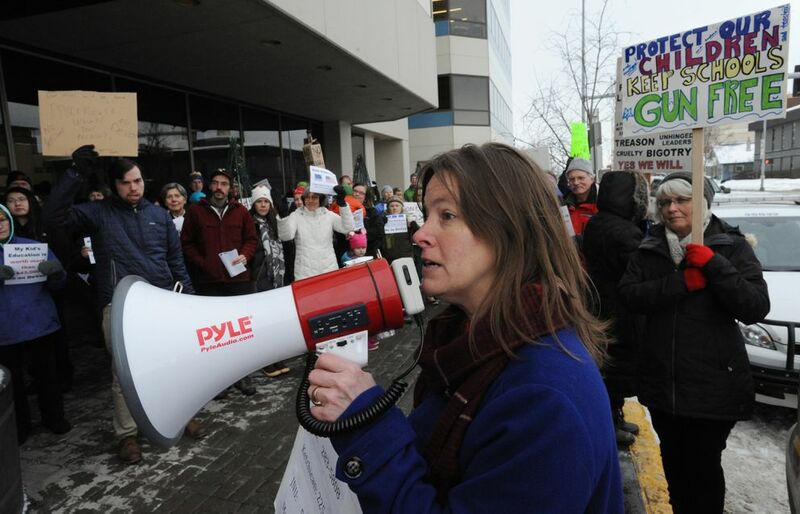 Alyse Galvin, who has helped lead an education advocacy group called Great Alaska Schools, says she's assessing a potential campaign for the state's sole U.S. House seat, currently held by Republican Don Young. Galvin, who's not registered with a political party, has also worked as a Realtor and a manager at a large hotel, though she said she's focused her last three years on schools advocacy — a role in which she's been a frequent presence at the Alaska Capitol and at grass-roots events in Anchorage. Galvin emailed participants of a "pre-announcement strategy session" earlier this month about what she described as her "imminent run to represent Alaska in Congress." She was spotted Thursday by a reporter at SteamDot Coffee in Midtown Anchorage with Anchorage Democratic Rep. Chris Tuck, along with her husband, Pat Galvin, a former state revenue commissioner who's now an executive at a small oil company, Great Bear Petroleum. In a brief phone interview Friday, Alyse Galvin said she was talking with Tuck about a possible candidacy. She said people have approached her about running but added that she's still studying the idea. "I really don't know that this is going anywhere," she said. "I'm a careful person, so I will be thinking through this." Other registered candidates are Young, Democrat Dimitri Shein and unaffiliated candidate Greg Fitch. Another Great Alaska Schools leader, Deena Mitchell, is running for the Anchorage School Board. More than one-third of the $26,500 raised last month by the Alaska Democratic Party came from a single Outside donor: Florida-based hedge fund manager S. Donald Sussman. Sussman's $10,000 contribution came through a special fundraising committee, the Democratic Grassroots Victory Fund, that's a partnership between the Democratic National Committee and state-level parties. The committee allows Democrats to solicit one huge check from donors that can then be split between the national and local parties. Federal records show that Sussman gave $795,000 to the Democratic Grassroots Victory Fund in October. Without the special fundraising committee, donors would still be legally allowed to give the same amount of cash, but they'd have to write dozens of individual checks directly to the individual party organizations. The victory fund is "allowing us access to donors in other parts of the country who might not otherwise give to us directly," said Jay Parmley, the Alaska Democratic Party's director. A 2014 U.S. Supreme Court decision — the McCutcheon case — facilitated the activity of committees like the Democratic Grassroots Victory Fund. Previously, individuals had been barred from donating a total of more than $123,000 spread across all federal candidates, parties and committees in a single two-year election cycle. Parties could still create fundraising committees and divide contributions between candidates and groups, but not more than $123,000. Advocates for campaign finance reforms say the special fundraising committees can raise concerns about corruption. "You've got these parties soliciting very large checks from individual donors; those donors potentially have more access and influence," said Michael Beckel, an official at the Washington, D.C.-based advocacy group Issue One. Alaska Democrats support campaign finance reforms and reducing money's influence on politics, Parmley said. "But we also have to be able to win elections and compete," he added. In March 2015, Gov. Bill Walker announced his hiring of Amanda Price as a "special adviser for crime policy and prevention," calling her "the perfect person" to help curb the state's high rates of domestic violence and sexual assault. Less than three years later, Price is no longer on the job. And according to a new disclosure filing this month, she's signed on as a deputy treasurer for one of Walker's rivals in the 2018 gubernatorial election: Wasilla Republican Sen. Mike Dunleavy. Price didn't immediately respond to a request for comment Friday. 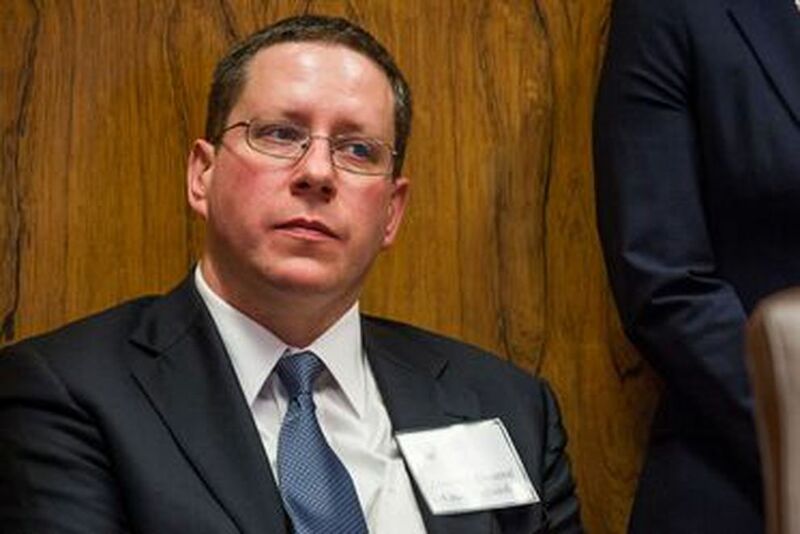 In other personnel shuffles: Walker announced Thursday that he's appointed Craig Richards, his former attorney general, to the board of the $63 billion Alaska Permanent Fund. The move raised eyebrows among those opposed to using the fund to help pay for Alaska government services, since Richards was the architect of Walker's original proposal to do so. The Alaska Oil and Gas Association, meanwhile, announced this week that it hired Brandon Brefczynski as its external affairs manager. Brefczynski is a former staffer to state Rep. Steve Thompson, R-Fairbanks, and former Sen. Bill Stoltze, R-Chugiak; he's also worked as an aide to Larry Hartig, the commissioner of the Department of Environmental Conservation. U.S. District Court Judge H. Russel Holland has sided with the state of Alaska in its lawsuit against the federal government over contested lands beneath the Knik River outside Palmer. Holland announced his decision in a one-page ruling dated Wednesday and published Friday. The state sued the federal government in April. At stake is the ownership of lands underneath the Knik River in an area near the Knik Glacier, a popular tourist destination and a growing attraction for fat-tire bicyclists. The dispute hinged on whether the disputed area of the Knik River is "navigable" or "non-navigable." The state owns the beds of navigable or tidally-influenced water; the federal government has asserted that the disputed area of the Knik River was non-navigable. Holland's one-page order Friday did not include any explanation or justification for his decision.